Although there are a lot of painters in Los Angeles, not all of them are competent. Most of the time, it is not all about finding an exterior or interior painter but getting the results you want at an affordable price and within the shortest time frame. You want a painter that will pay attention to the smallest details like picking the right paint and using the right painting techniques. Trust me, it is better to take enough time to look for the right contractor than going through a terrible experience with a bad painter because of ignorance. Picking the right painting contractor in Los Angeles is not hard, you just need to know what to look out for. In order to avoid any terrible experience with inexperienced painters, here is a check-list to guide you through the process of picking the right one. Ask the People in Your Neighborhood: Because your time is precious to you, you want to get referrals from friends and acquaintances who already have good experiences with painting contractors in Los Angeles. You can easily find a good contractor by doing this because they will want to keep up their reputation and get more referrals. Interview Them Critically: Only hire a contractor that has a lot of experience with proof of insurance and bonding, licensing, full portfolio of before and after pictures and references. Compare Estimates from At Least Three Contractors: How detailed is the estimate from each contractor? What is the price range? Most times the estimate may not be detailed enough if the price range is fairly low when compared with estimates from other contractors. In this case, the contractor may also be trying to cut corners in order to complete your work. 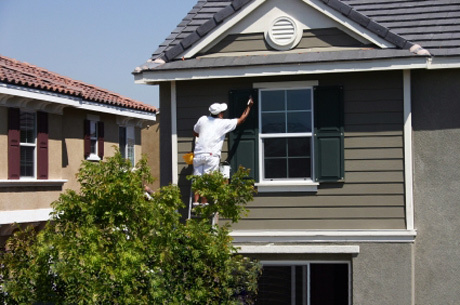 What Is Their Priority: Always ask a potential exterior and interior painter what be their priorities if you offered them the job. You want to pay very close attention to what they have to say. You should always avoid any contractor that is tries to dodge your questions because you want to be sure that your potential contractor has the specific experience needed for your project to be successful. Don’t accept a price quote without a written contract: Never accept a contractor without signing a written contract agreement. The contract must explain clearly the details of the work to be done. It must also contain items such as where should be painted, methods and extent of surface preparation and payment plan. This will help you evaluate all the bids submitted by different contractors and keep them on a level playing field.